Keep your garden gizmos and handy hardware in line with the Tool Rack Set. Also available individually. 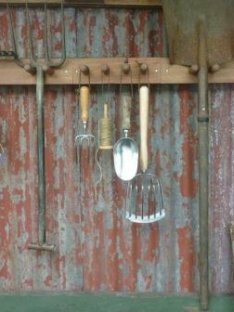 Rake & fork duo – $34, spade & shovel combo – $34 or the hand tool holder – $24.